Sure I've had several orchids. They always look healthy and then it happens. The first leaf drops, then the second and so on. I water/lightly feed them once per month and spritz them with water and supply them carefully with filtered light. Simply put, they hate me and I'm not sure why. I nurture them and tell them how beautiful they are. Some have even never bloomed again, but seem to be happy, growing new leaves. All this talk about orchids is making me want to watch Adaptation again. If only I could master the keeping of these delicate beauties. I know several people who have given up on them and I have an adopted one here now. This little miniature orchid amazes me and I'm going to carefully primp and try my best to keep it happy and healthy. 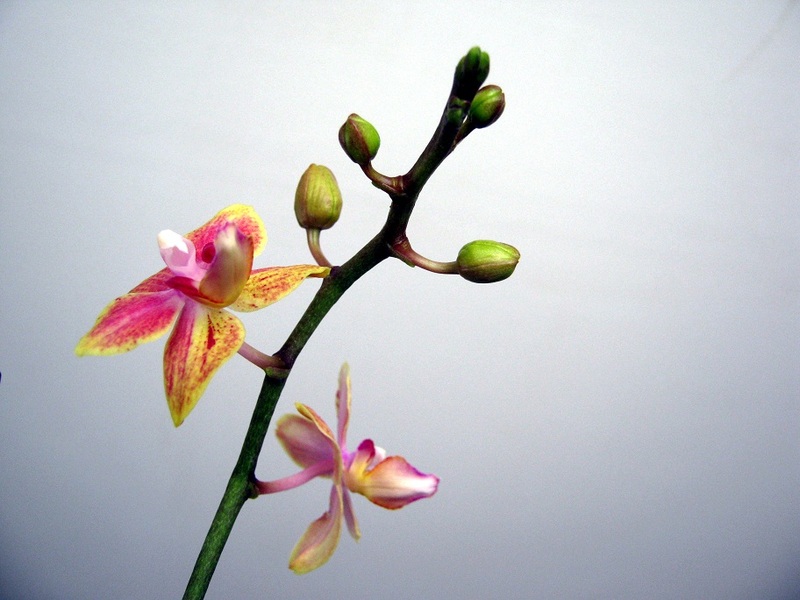 If you have any advice on the care of orchids, I'd welcome it.